Every time a polymer is heated or sheared, it is in a potential state of degradation. This degradation changes the molecular weight and therefore the physical properties of the polymer. Most polymers are protected from degradation by their manufacturer to ensure their suitability for their designed use, including recommended processing temperatures. Continued exposure to heat and shear as well as environmental exposure consumes the protective additives in the polymer. Once additives are consumed polymer properties decline rapidly. 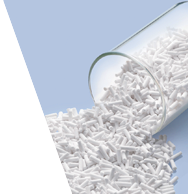 The secondary addition of additives is common practice in the polymer processing industry and until recently, polymer additive master batch was the preferred method of addition. Additive addition has advantages for converters who process virgin resin or use reprocessed materials. The proper additives can improve the finished polymer product quality as well as increase processing efficiency. 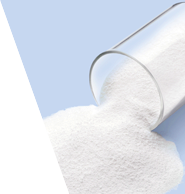 Polymer Stabilizer are available in a variety of physical forms, such as granules, pastilles and sprayed prills that are easy to disperse and free-flowing.